﻿The New York Times' Nicholas Kristof, in a July 23 op-ed ("Spanish Lesson for Israel"), wags his rhetorical finger at Israel for its military response to Hezbollah's killing and kidnapping of Israeli soldiers. He urges an alternative approach. Israel, Kristof lectures, should emulate Britain and Spain in their dealings respectively with the IRA and Basque separatists and take a "softer approach" of negotiations and political accommodation. 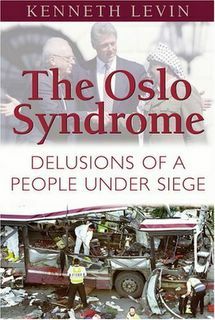 Nor is it insignificant to many people not employed by the New York Times that all during the Oslo years Yasir Arafat and his Palestinian Authority were likewise assuring their constituency that their goal remained Israel's destruction and that Palestinians should understand Oslo diplomacy as the PLO's means to that end. But just as the New York Times downplayed the Nazis' genocide of the Jews during World War II, it has consistently chosen over the years to downplay or ignore entirely the explicitly declared genocidal intent of groups like Hezbollah, Hamas and Fatah and their indoctrination of their constituencies to dedicate themselves to the goal of Israel's extermination. This has been true both on editorial and opinion pages and in news stories. It is a dereliction of journalistic responsibility that, with rare exception, the Times continues to regard examination and exposure of these groups' doctrinal declarations and objectives unfit to print.